Dr. Rezk was in private practice in Centerville, Tennessee. Her clinical practice includes oral and maxillofacial surgery, periodontal surgical procedures, anterior endodontics, aesthetic restorations, removable prostheses, osseous implant restoration, sedation and treating patients undergoing general sedations. She has advanced experience in the dental evaluations of medically compromised patients including solid organ transplant, bone marrow transplant, and radiation-oncology patients. 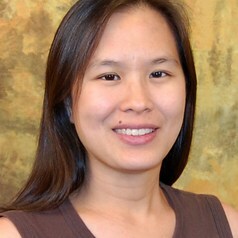 Her research experience has included studies of the effects of exercise on endostatin levels in the circulation of healthy individuals, the increased expression of vascular endothelial growth factor (VEGF) and capillary density in the hearts of laboratory animals, and determining IgG subclass response in adults immunized by intranasal route.